The year 2014 is almost over and 2015 is upon us. It’s that time of year when we can look back and see both the things we’ve accomplished and the things we need to improve. While it is true that new habits can be made and bad habits can be broken at any time during the year, there is something special about a new year—a blank slate, if you will—when positive changes and goal setting can be especially effective. I myself look back to the treadmill that my wife and I got for Christmas two years ago and then consider this year’s gift: a Lazy Boy chair. I think I’ve already put more time into the new chair than I’ve put into running on the treadmill in the last couple years. My most needed 2015 resolution is pretty evident. If you need some help getting started on these resolutions, make an appointment today. We’d love to help you achieve and maintain the smile you’ve always wanted. 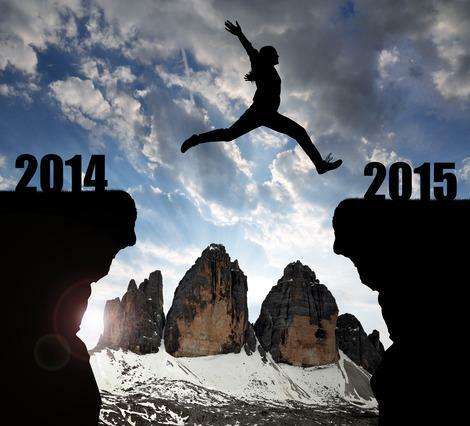 Make 2015 the best year ever!